So for this blog post, I wanted to show you guys the apps that I have in my music folder on my iPad. My music folder looks different from what some people would have because I have more music creation apps whereas other people might have more music listening apps. Be fore getting into the post. So here are some apps that you will find in the music folder of my iPad. GARAGE BAND ($4.99-free on devices purchased after 10/01/13) I don’t really use this app that much. I mostly just mess around with it. 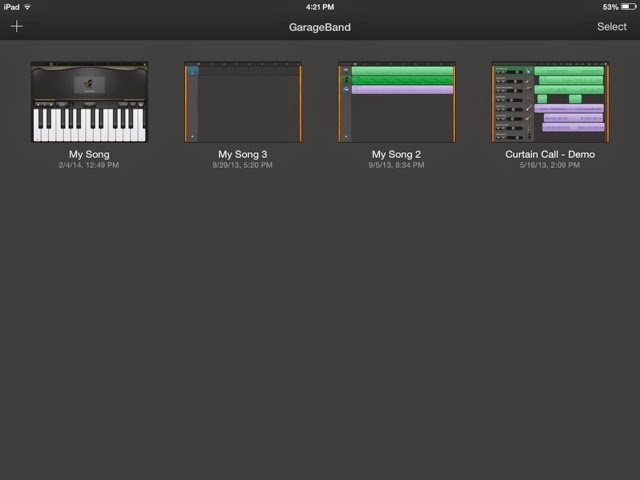 You can create and record music on piano, guitar, bass, and drums as well as record audio. EAR TRAINER LITE (Free) I use this app whenever I want to sharpen my ear at hearing intervals. Since I am a music major, I have to take aural skills so this app can be a great practice tool for outside class time. FINALE SONGBOOK (Free) I love this app for storing digital copies of all of my sheet music. 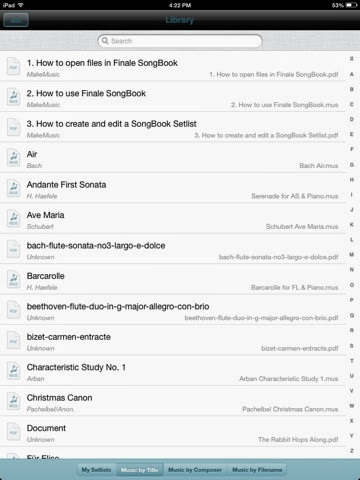 It was made to store files from Finale music, but I also will open PDF files of sheet music in there. 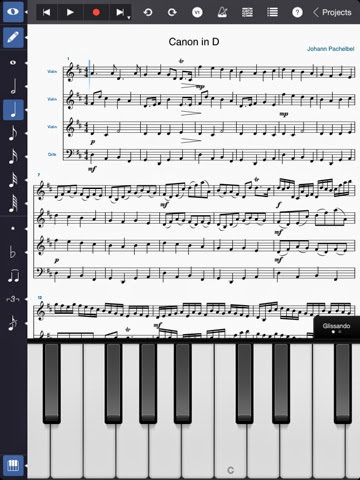 This app is just for viewing-not creating or editing sheet music. 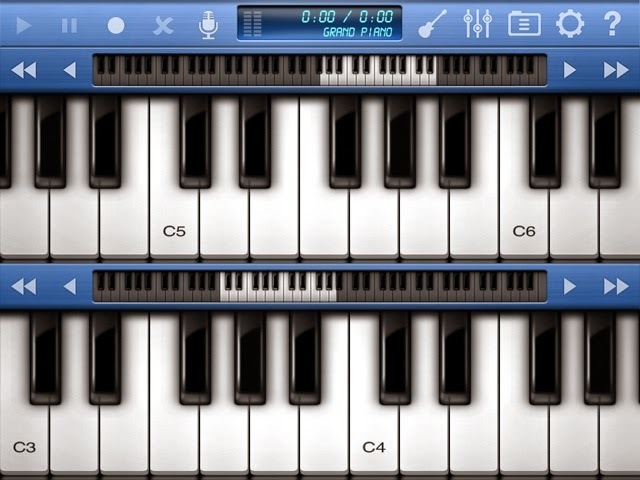 50-in-1 PIANO HD (Free) This is an electronic keyboard app where you can select different sounds from vibes to strings to synths, it is a fun app. I don’t use it all that much but it is nice to have. 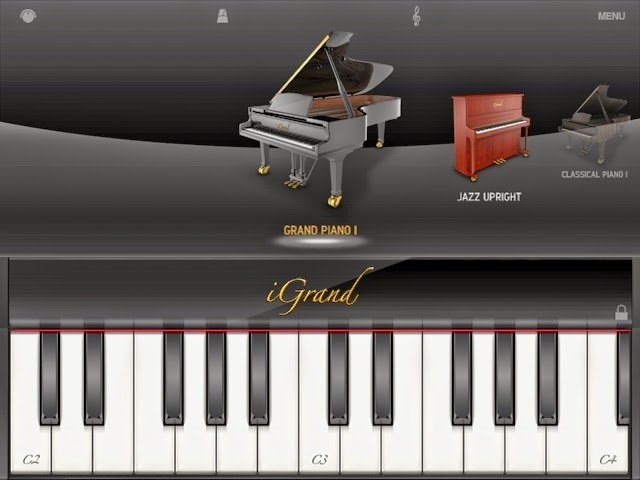 iGRAND PIANO ($?-free with purchase of iRig Keys ($99.99)) this is a simple electronic piano app that I use with an external midi keyboard. 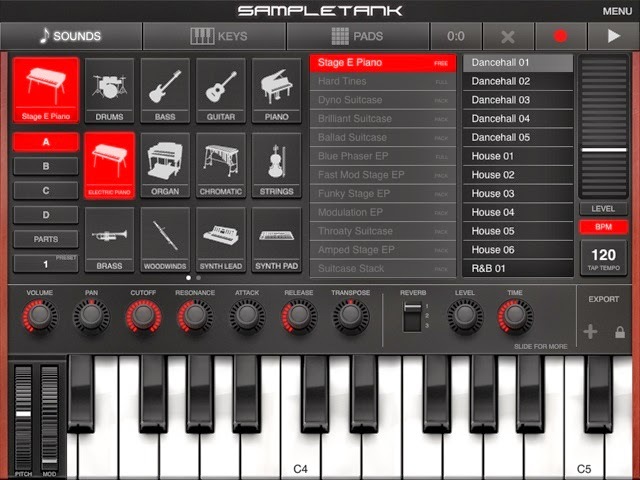 SAMPLETANK ($?-free with iRig Keys) this is like the iGrand Piano app, but you can also use other sounds besides piano. 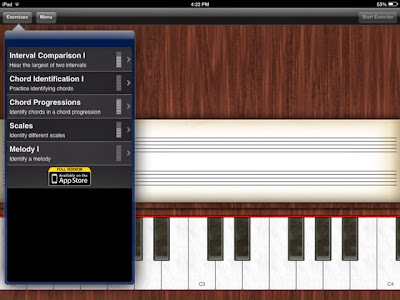 This app is also meant to be used with an external midi keyboard. NOTE* The two apps I just talked about came with the iRig Keys (made specifically for use with iOS) which I bought at Guitar Center. I can do a review of the keyboard in another blog if you would like-comment below. MAGIC PIANO (Free) This is a cute little app that is kind of like guitar hero, but you use your fingers on the screen to play the notes in all sorts of songs. I believe it costs money if you want to play pop songs (they are an in-app purchase). SYMPHONY PRO ($9.99) I have been loving this app so much! 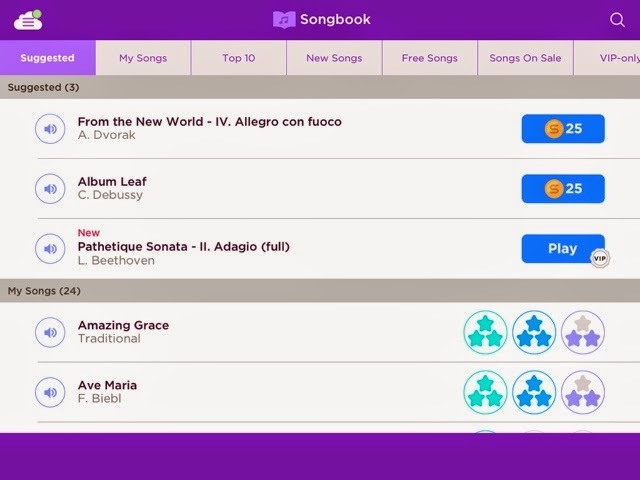 It is a music composition app that functions just like Finale or Sibelius, but way cheaper. I just recently downloaded it, so I am still getting used to the program, but so far I really like it. I was able to do a project for my composition class on it. I really love the option to use an on-screen keyboard for note-entry. So, those are my top music creation apps for iPad. I hope this gave you an idea of what is out there. I believe they are also available for iPhone/iPod Touch except for maybe Finale SongBook. I would like to know about other fun apps like these that are free/cheap, because I do use my iPad as my main computer. If you would like to know how I do that, let me know, and I can show you! Anyway, thanks for reading!